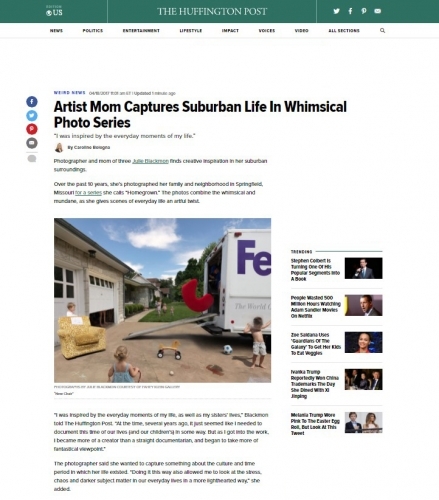 Photographer and mom of three Julie Blackmon finds creative inspiration in her suburban surroundings. Over the past 10 years, she’s photographed her family and neighborhood in Springfield, Missouri for a series she calls “Homegrown.” The photos combine the whimsical and mundane, as she gives scenes of everyday life an artful twist. The photographer said she wanted to capture something about the culture and time period in which her life existed. “Doing it this way also allowed me to look at the stress, chaos and darker subject matter in our everyday lives in a more lighthearted way,” she added.